You can promote a show with a single voice. Don’t believe me? Well, if you’re a Doctor Who fan (or a Jessica Jones fan, or Broadchurch, or many others) I think you’ll suddenly find some interest in the new Disney reboot of DuckTales when I tell you one of the main characters is voiced by David Tenant. This is not a new trick. This is not an uncommon trick. But it works. Oh, yes, it works. And that’s why animation companies use it so much for movies. Animated movies find a huge amount of marketing power and ways to promote through the voice actors—if they are famous for other things. 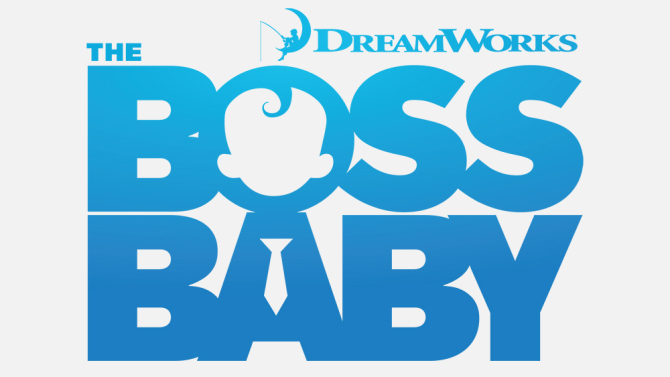 Like, if you’re an older non-kid individual planning on watching DreamWorks Animation’s The Boss Baby in Countryside Mall’s theaters, I have to imagine it’s partially because you like Alec Baldwin. And, because I am a fan and a promoter of animation, I and others like me should be (and I personally am) okay with this, if it keeps animation as an artform going forward. From The Secret Life of Pets to Bee Movie this is a tactic using name recognition. But also has a new wrinkle, because lately, and The Boss Baby works as an example of this, some voice roles go rather well to certain actors. Marvel, as I’ve covered before, can tie an actor to a character, and make them a forever connection, and though this is more temporary, you can do the same with these kinds of animated roles. The Emperor’s New Groove (and I am aware I am dating myself a little by choosing that movie) is a perfect example of having the right famous person for the right voice. Patrick Warburton, despite playing smarter characters than Kronk, lent a certain level of lovable almost deadpan goofiness to the character, that I think that specific actor pulls off well. And the methods to promote don’t stop there. Because, yet again, I’m coming back to The Boss Baby for another example: you can use the connection from voice to face, to make a joke. “Cookies are for closers” is a comedic reference which does not work unless you know the actor tied to the voice. Unless you know him for his live action role in Glengarry Glen Rose. Now, does that kind of joke also make the movie cheesy? Yes, quite a bit. But, it’s not a bad way to promote. It’s somewhat cheap humor, but we live in a cultural landscape that kind of loves referential jokes. Perhaps too much. But, it does work. And, anyway, will all this said, if you want to make an animated movie, if you want to make an advertisement, if you want to promote something in an animated medium—or even live action if Farmers Insurance and J.K. Simmons have anything to say about it—you can get a real boost by attaching the recognizable voice of someone the crowds already love to a new character you want them to love. I mean, as one last example, just to fully prove my point, if Morgan Freeman voiced an animated character, you know the movie would practically promote itself with one advertisement.